Check out our NEW resources below! Our online presentation and film clip can support your teaching of Electricity safety in the classroom. You can share the resources with other users and provide us with valuable feedback so we provide you with the resources that work for you! 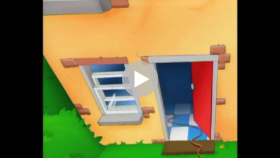 Bee Safe, a bee with super powers, rescues and enlightens fellow bees about the benefits and potential dangers of electricity. Have you ever wondered……..How electricity is made? Or how it gets to your home? Click on our online presentation to bring learning about electricity safety to life in your classroom. Mikey and his friends learn about roadside safety. How many signs can you see? Copyright Morrisons Utility Services. 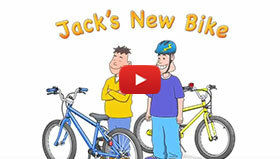 Follow Mikey and his friend Jack as they cycle to the park past dangerous roadworks and traffic. 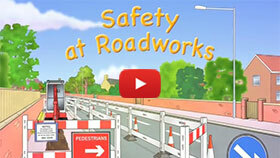 See how many safety signs there are along the way, and what happened to Jack on the road. Copyright Morrisons Utility Services. Mikey and Jack learn that engineering works are dangerous places to enter! Find out how Jack was rescued. Copyright Morrisons Utility Services.